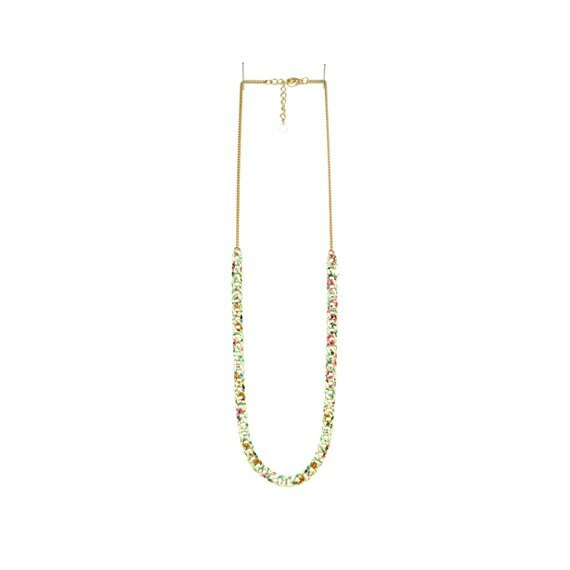 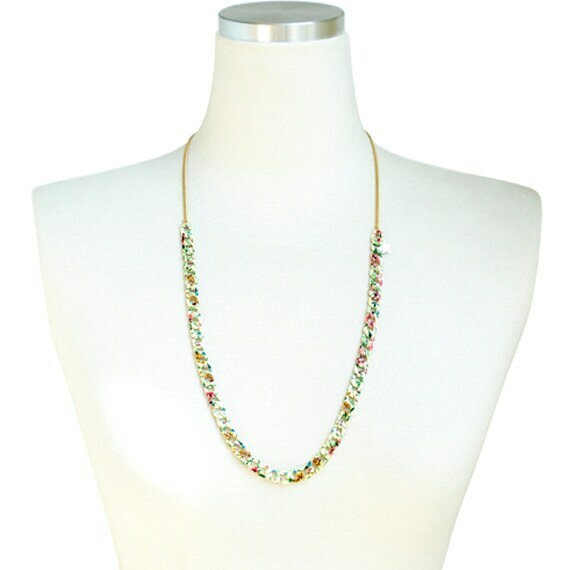 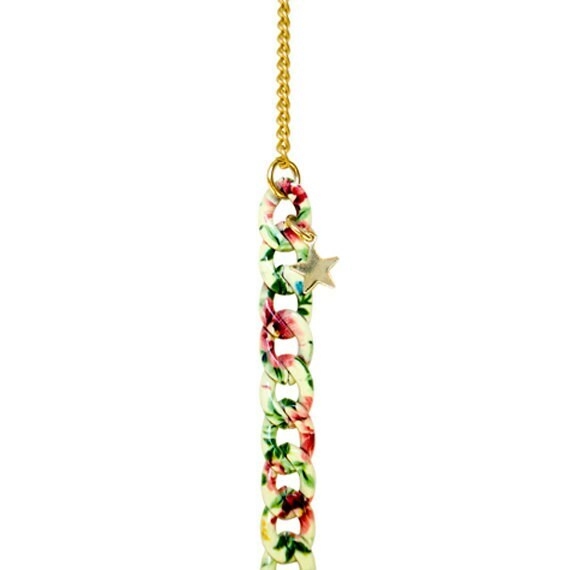 Outstanding Retro Garden printed metal necklace that is simply yet tastefully put together. 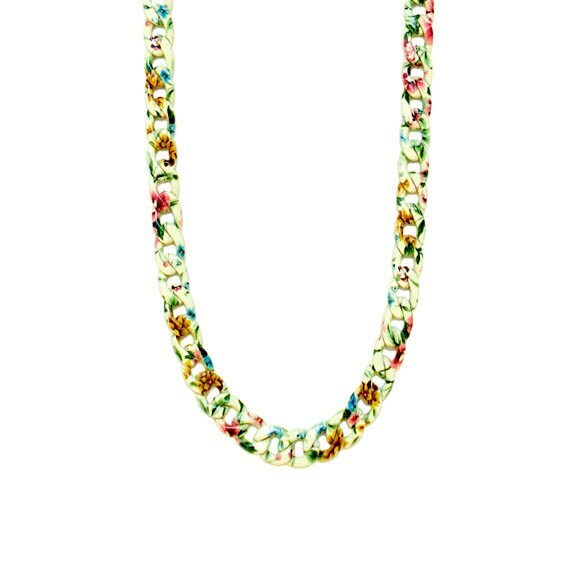 Perfect addition to any jewelry box & just enough Pattern dosage you need everyday! 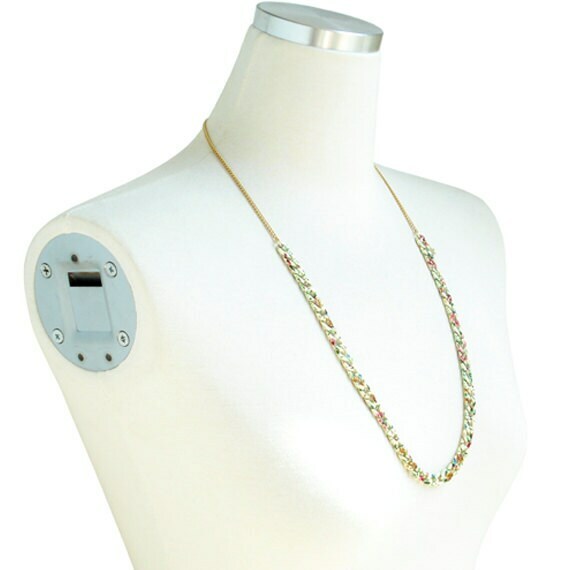 Complete with Lobster clasp and extender.